Almighty and gracious God, please guide St. Michael and All Angels in the search for the 9th Rector. May each person committed to this calling trust your guidance to discern your will. 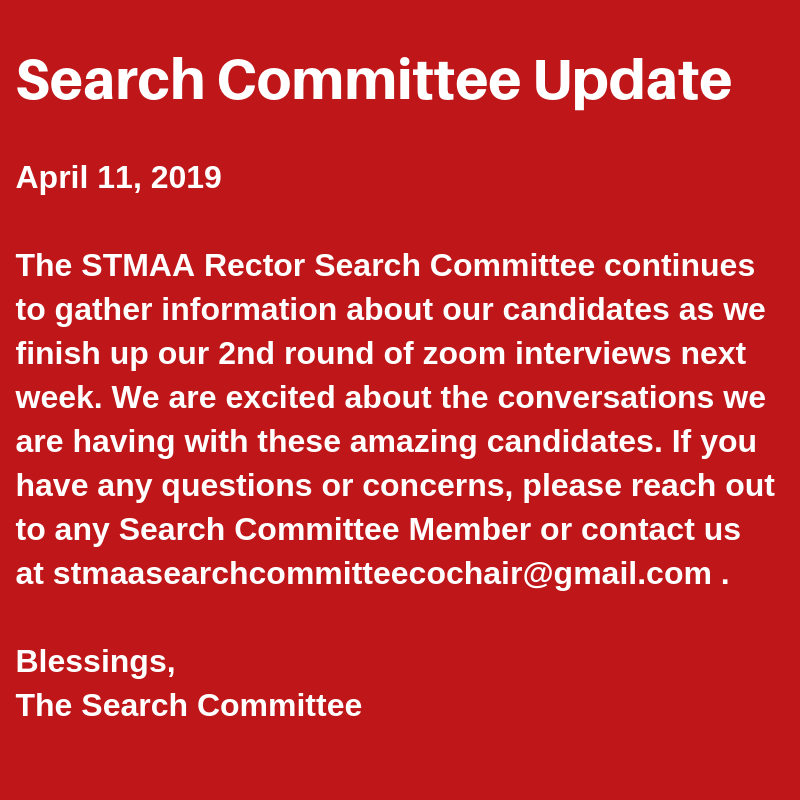 Give the Rector Search Committee open minds to receive the desires and concerns of all parishioners. Grant them a creative spirit to overcome challenges with inspiration, resourcefulness, and productivity. May they carry out your works in our community and fully satisfy the needs of our parish. All this we ask through Jesus Christ our Lord. Amen.